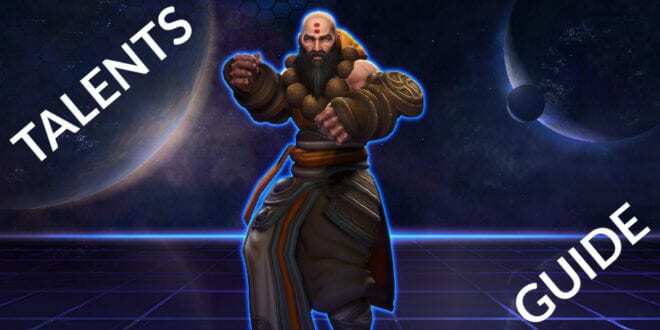 Speaking about the Diablo 3’s Monk, he’s coming as a support in this game, even though he owns more than that. 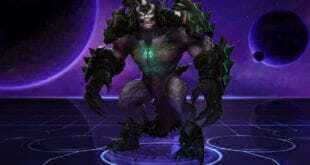 This was my main class in Diablo 3, that’s why I love playing with him in Heroes of the Storm. 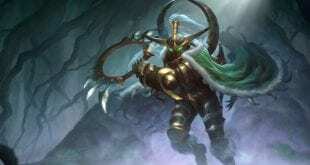 So, this Kharazim build guide is not about the support at all, not about the damage also, but it is placed somewhere around the middle. 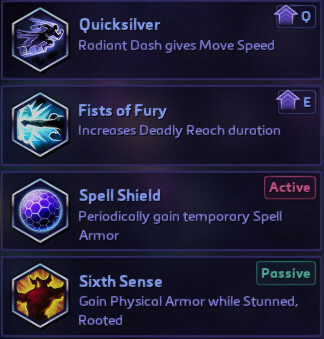 Kharazim can both support the players and deal damage too. Having his ally active, together with his Transcendence active, he can clear mercenaries camps easily. Having his Support title is not the real title at all. He can do a lot more than that. 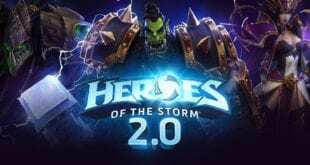 Let’s preview our talent build below. 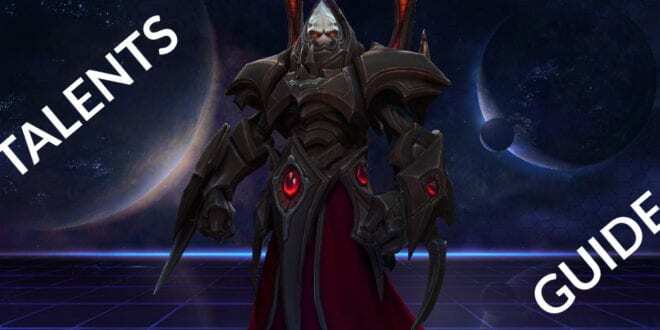 It’s time to say the truth about Kharazim and he’s ownage he can perform. Did you know that he can also be a real pain for the invisible heroes? Let’s see what we’re talking about below. 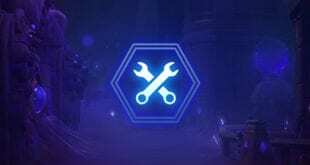 Loving it, go out in the farm without being worried, plus healing your ally hero it’s just awesome. That’s why we always prefer to go for the Transcendence at level 1. This passive is pretty cool if you ask me. Ok, so this might be tricky, picking your Spirit ally might help you healing, but has such a low hp and can be destroyed really fast. The second, Earth ally has 400 hp and can also grant 50 armor so it can defend you from physical attacks, which is not that bad at all. 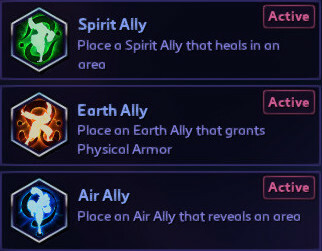 The third, Air ally can reveal invisible enemies so it can help you in teamfights. I prefer to go with the Earth ally, but feel free and go for whatever you think it suits the best. We do not need to explain why we prefer to pick Heavenly Zeal. You can pretty much save yourself and your allies whenever you need an escape, except if you’re not being rooted. That might hurt. 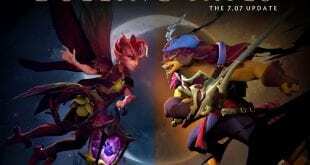 I loved using Seven-Sided strike back in the Diablo 3 days, I love using it in heroes of the storm too. Kharazim goes invisible and deals a lot of damage, meaning he can save himself pretty good. This is actually where the damage transform starts to kick in. This is actually where the damage transform starts to kick in. We always prefer using the Seven-Sided strike except if we are playing like extra hard ranked match. 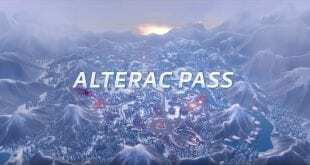 This will increase our Deadly Reach duration. I just love playing Kharazim. I always go for that as it might get your extra shot to perform the kill successfully. Otherwise, if you’re being hardly focused you can choose something else instead of Deadly Reach. Let’s say that Spell Shield and Sixth sense also work good. So, do not forget about them too. So, this is also your choice, whether you want to go for the damage build or get that extra heal so you can save yourself and your teammates. Going for anyone of these is good, there shouldn’t be anything wrong. 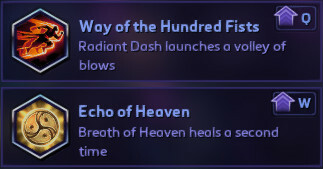 Getting either Way of the Hundred Fists or Echo of Heaven will both do good. It’s just a matter of what would you want to go for, is your team dominating as a whole? If it os, get your Way of the Hundred Fists. If not, you might want to get Echo of Heaven. I just always want to go for the Transgression, knowing the fact we picked our Seven-Sided Strike as a Heroic. There’s nothing more to say. This gives an extra 4 attacks to your Heroic. That’s pretty good amount of damage. However, do not forget about the Storm Shield. If you’re struggling throughout the fights, this might be a really good option for you. That’s it, our Kharazim build ends here. I honestly hope you’ll like these talents as they really suit me good. Being playing my Monk in Diablo 3, this is what I go for :). Now, let’s go back in the game and use the fastest fists in the world. 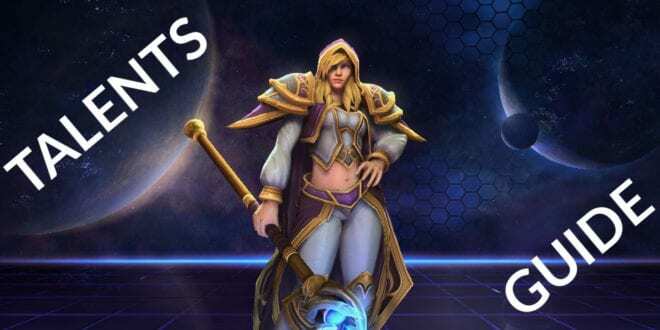 Heroes of the Storm and Kharazim might be a reason for you to start loving the game even more! Do not forget to tell us your thoughts in the comments down below.